The wildfires ravaging the Western United States are among the most damaging on record, and the season isn’t over yet. For those who have been following the region’s changing climate patterns, however, the damage is hardly surprising, and this could be only the beginning. So far this year, 41,000 fires have burned 7.5 million acres of forests and grasslands across the United States. Only nine years have seen more acres burned in total than have already burned this year. The record is 9.8 million acres in 2006. In Alaska, the 2015 wildfire season will likely go down as the second-biggest on record. 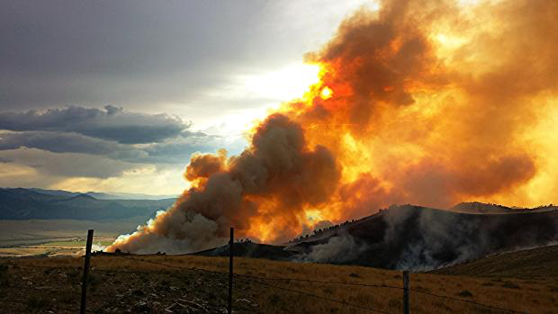 More than 5.1 million acres – or 8,000 square miles – have burned so far this year. The most damaging – 6.6 million acres – occurred in 2004. Although this was an extreme fire season, the state was fortunate that the weather eventually cooperated. By mid-July, the fires had already charred 4.5 million acres, or 88 percent of the total. The fires that plagued central Alaska during the late spring and early summer months are now mostly under control, as the dry summer heat gives way to cooler and wetter weather. The persistent ridge of high pressure has broken down as waves of moisture now stream in from the surrounding waters – the annual sign that autumn is quickly approaching. 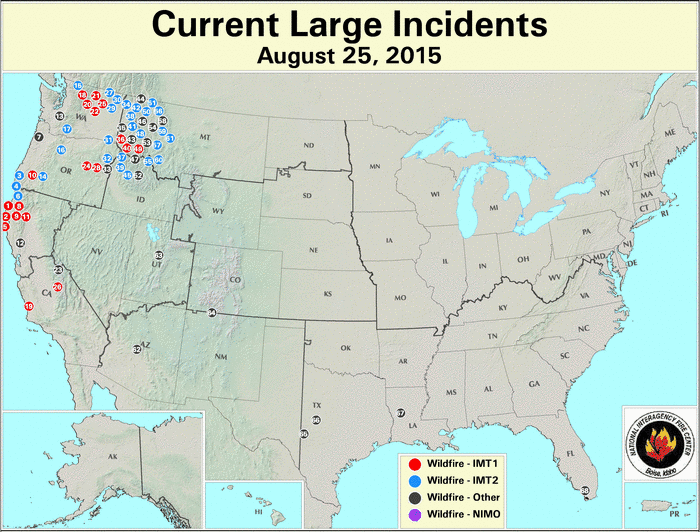 As the fires die out in Alaska, the attention now turns to the lower 48. What was a sporadic, yet manageable, start to the fire season has now turned into conflagration of tragic proportions. Why the shift to the Lower 48? A shift in the weather pattern over Alaska set into motion changes in the atmosphere that would affect the Lower 48. An upper-level low dropped down from the Gulf of Alaska and moved off the coast of Northern California. 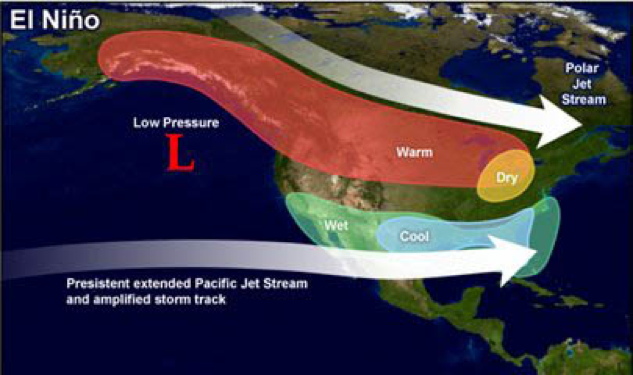 The low-pressure system met up with a persistent ridge of high pressure situated over the Western United States. The same system is responsible for waves of record-breaking heat from Phoenix to Seattle, and for extending the magnitude of extreme drought conditions from California into Oregon, Washington, and the Northern Rockies. The clash of weather systems culminated in a series of dry thunderstorms, which produced lightning that sparked numerous fires across the Northwest. A series of weak low-pressure troughs have since moved along the northern parts of the ridge, cranking up the wind and fanning the flames. The result was a perfect storm of ingredients that have set the west ablaze. Currently, 1.5 million acres are burning. Five states – Idaho, Washington, California, Oregon, and Montana – all have at least ten active large fires, and all have states of emergency in effect to receive federal relief money. More than 30,000 wildland firefighters have been called in to battle the blazes, the largest number in 15 years. The fires have grown so numerous and so large that U.S. Forest Service resources are spread thin. Last week, the Army got involved for the first time in almost a decade, mobilizing 200 personnel to assist. Canadian firefighting forces are also responding with additional crews and equipment. The USFS has also called in help from Australia and New Zealand. And those firefighters who spent the first half of summer in Alaska? They are now being redeployed to fire locations throughout the Northwest. Thirteen firefighters have died in their efforts to stop these fires. Thousands of people have been displaced, hundreds of homes and businesses have been destroyed, and livestock killed. And while these numbers are dramatic, they shouldn’t come as much of surprise. Climate change is altering the landscape of the Western United States. According to the Union of Concerned Scientists, the average annual temperature in the Western United States has risen 1.9°F since 1970. The average winter snowpack is also shrinking, now melting up to 4 weeks earlier than in previous decades. And those are the years when there is a measureable snowpack. This creates dry ground conditions that are more conducive to the start and spread of fires. Weather conditions like the ones that sparked and fanned the flames are also becoming more common. The multi-year, persistent ridge over the Western U.S., dubbed the Ridiculously Resilient Ridge (RRR), has intensified the hot and dry conditions. In fact, a recent study published in the Journal of Geophysical Research has concluded that climate change has intensified the California drought by roughly 15 to 20 percent. Therefore, it should come as no surprise that the wildfire season is now more than two months longer that it was a generation ago. However, as summer progresses to autumn, and autumn to winter, fire season will come to an end, as cooler air and much needed moisture – a result of the effects of El Niño – begin to overspread parts of the drought-stricken region. The winter rain and snow will provide some drought relief, but it is highly unlikely to end it. There are large water deficits throughout California and the Western United States. According to a recent study by NASA’s Jet Propulsion Laboratory, it would take a year’s worth of rain to alleviate the drought. The fact remains that even with a high likelihood of much needed precipitation this winter, the climate of the Western United States is changing. One season of rain and snow will not be enough to solve the myriad of water crises, nor will it help to buck the trend of longer and more dangerous fire seasons. The record-threatening fire season is the result of prolonged drought and extreme heat, and should act as a wake-up call to continue the push toward reducing greenhouse-gas emissions and mitigating its effects. Without these efforts, these extreme events will become even more commonplace. Simply adapting to a hotter and drier Western U.S. will not be enough.